The newly formed Major Crush, formerly known as Nasty Habit, have released their debut video for their new song “You Ain’t A Saint” from their upcoming debut album Trophy Kids. 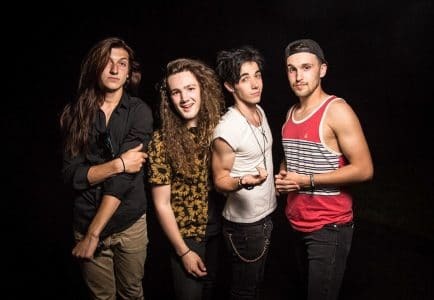 Back in February 2016, New York state based Nasty Habit made the surprise announcements that they had changed drummers from long-time drummer David Jordan to newcomer Brandon Young, and more importantly that they were changing their sound and name to Major Crush. The new song “You Ain’t A Saint” represents a more modern sounding band while keeping some of the trademarks of Nasty Habit including guitarist Kenny Ende‘s virtuoso guitar playing. The video also sees frontman Tommy Ende sporting a new look with him having abandoned his long hair locks. You can pre-order Major Crush’s debut album Trophy Kids at their pledge campaign page.